Going fishing at the end of Sunday afternoons was routine for the couple Jair Jorge da Cruz and Conceição Oliveira da Cruz. 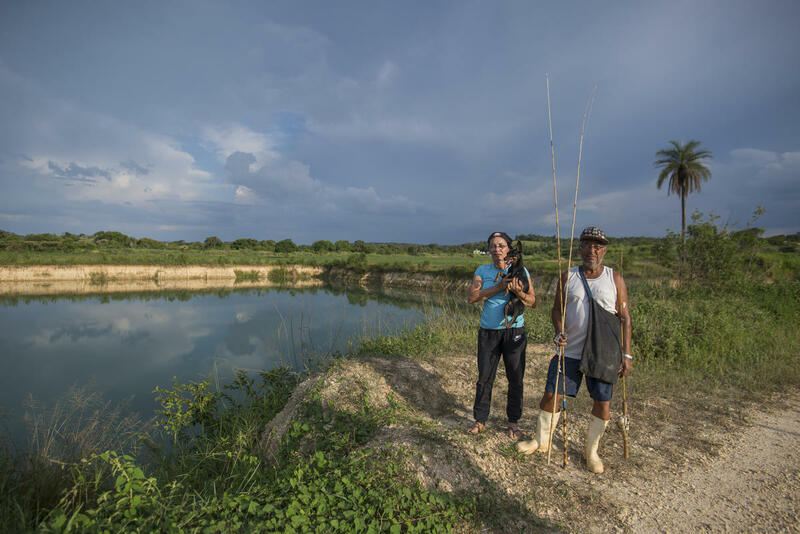 With their dog, Susie, they would leave the house with bamboo sticks, bait, and cooked corn to feed the fish and go to the Paraopeba River where it crosses the neighborhood of Córrego do Barro, in the town of Pará de Minas. The mud has not yet reached their old fishing spot, but since the rupturing of the dam, they have not dared to follow their old routine. 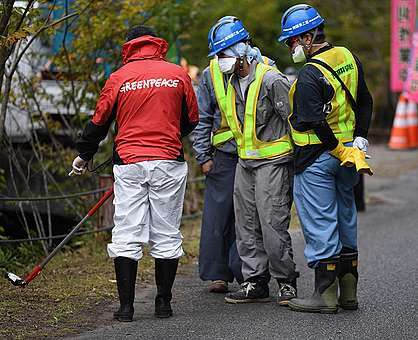 They think it is too much of a risk, so they are going to an artificial dam to fish. Jair says, “She gets angry if we don’t go fishing.” His wife is the one who likes to fish. Conceição lists the species that used to be found in the river: piaba, traíra, lambari, tilápia, and piau. Given the toxic mud from Vale’s collapsed dam, however, these fish don’t stand a chance. The toxic mud from Vale’s collapsed dam is working its way down the river and killing it. According to an analysis by NGO SOS Mata Atlântica, 40 km of the Paraopeba River can already be considered dead. The ore tailings increased the water’s turbidity by more than 100 times and wiped out its oxygen. No animal can survive under these conditions. The mud is not the only issue, as heavy metals – toxic mining waste that was once stored in the dam, are now in the river, contaminating its waters. 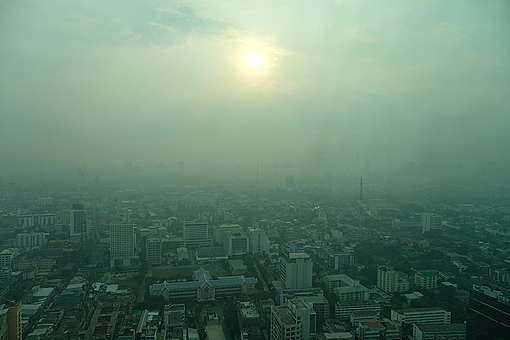 Analyses conducted after the environmental crime have found high concentrations of nickel, mercury, lead, zinc, and cadmium. The only bridge in Brumadinho that passes over the Paraopeba River has a different kind of traffic lately. Cars and pedestrians alike stop to watch the muddy river while listening to the noise of the helicopters on their way to rescue the victims of Vale’s collapsed tailings dam. Luis is one of the locals observing the river. How does he feel when he sees the river? With a tired look on his face, he says, “It’s just so sad.” I can’t explain it because the river never had this color before. We could see fish swimming here. Now, it’s all gone.” I ask if I can film his testimonial and he says, ”It’s better that you don’t. I’ll get too emotional even to get the words out.”. 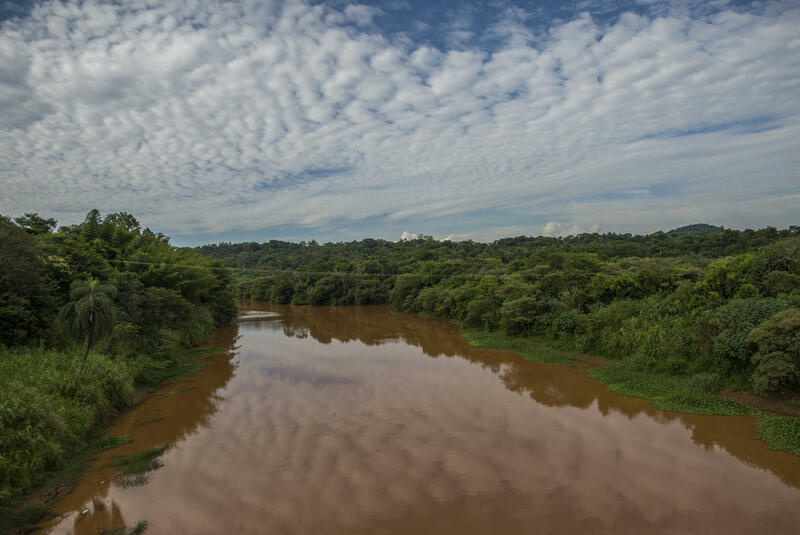 The impact of the dam collapse is so huge that the mud is already changing the routine of the cities through which the Paraopeba River passes. 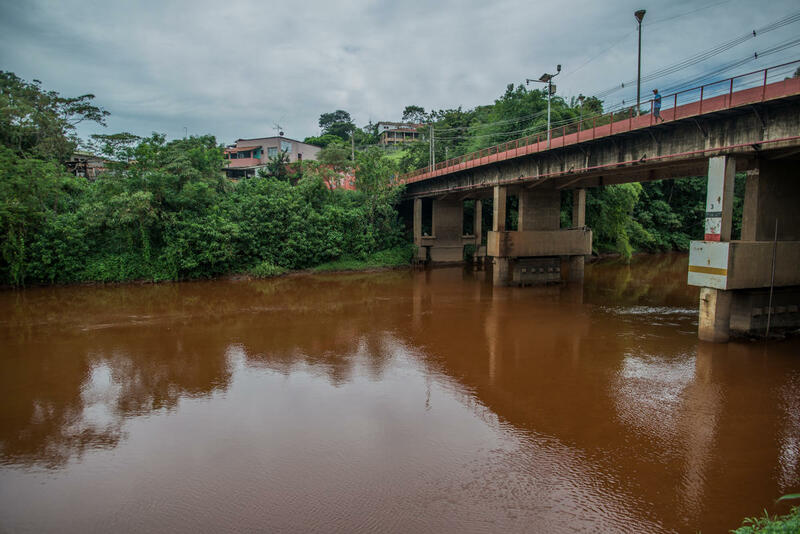 The city of Pará de Minas declared a state of emergency earlier this week due to the contamination of the river, which is the population’s water source. Meanwhile, for Conceição, Jair, Luís, and thousands of others, it will be a long time before they can enjoy the Paraopeba River once again. Vale’s toxic mud has killed people and is killing the waters. “There used to be many people who came to the river to swim and fish. Now there’s only sadness. The river was so beautiful. It’s very sad what happened,” says Jair in a mourning tone. 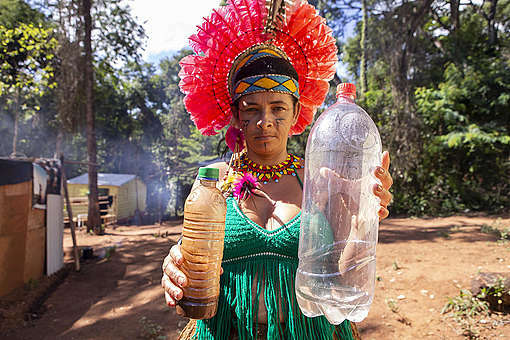 Thaís Herrero is a journalist for Greenpeace Brazil based in São Paulo.